Okinawa has natural conditions that are rare in Japan, being within a subtropical and oceanic climate, and has developed its own rich culture. On the other hand, it also has a tragic past, as it was the site of ground fighting that engulfed the general population and resulted in the loss of many precious lives in the Second World War. *Click here for more information on each facility. Roundtrip airfare between Kansai International Airport and Naha as well as basic expenses during the tours will be covered by the Cabinet Office. Click on the following link and fill out the Application Form. *Openings are limited. If the number of applications exceeds capacity, we will select the participants. We will send responses to all applicants, regardless of whether or not they have been selected as participants. (1)Participants will be responsible for arranging their own transportation after their arrival at Kansai International Airport on September 10. (2)A bus will be provided for transportation during the tours. (4)The facilities to be visited may change or be moved within the schedule based on coordination with each facility. The following reference websites are not the website of The Cabinet Office of Japan, or under the control of The Cabinet Office of Japan. Those website addresses were confirmed in December 2018. For the most current address, please check yourself. The Peace Memorial Park is located in Mabuni, Itoman City, which is at the southern end of Okinawa's main island and where the Battle of Okinawa ended. It is designated as Okinawa Battlefield Quasi-National Park. The park includes the Peace Memorial Museum, Peace Hall, Cornerstone of Peace, National War Dead Peace Mausoleum, and a sacred road of monuments. It is a center for passing on the truth of the horrific Battle of Okinawa and lessons learned from it to future generations. During the Battle of Okinawa, teachers and students of girls’ schools were mobilized to provide nursing. 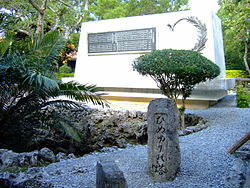 The Himeyuri Monument was erected to honor the souls of the Himeyuri Student Corps, whose members were among those mobilized and who died in the fighting. On the grounds is the Himeyuri Peace Museum, which relates their experiences as they became caught up in the battle. As the fires of war approached Okinawa, the Tsushima-maru left for Nagasaki with children undergoing mass relocation aboard. On her way, however, she was sunk by a torpedo fired by American submarine. The Tsushima-maru Memorial Museum shares this history and relates the value of peace and life as seen through the eyes of children. Ocean Expo Park is a national government park that was established to commemorate the Okinawa International Marine Exposition of 1975. 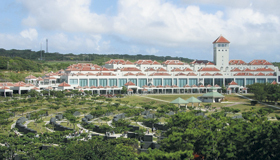 Within the park is the Oceanic Culture Museum, a building presenting the history and cultures of oceanic peoples of the Pacific, including Okinawa. 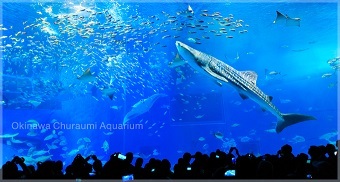 Also on the grounds is the Okinawa Churaumi Aquarium, which conveys the natural beauty of Okinawa’s ocean as a hands-on facility. On Okianwa Island during 14th century, there were three principalities; Hokuzan of the northern region, Chuzan of the central region, and Nanzan of the southern region. 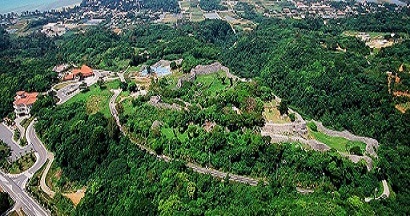 Nakijin Castle was the castle of the Hokuzan king prior to the Ryukyus' integration into the Chuzan kingdom, and was used by officials dispatched from the Ryukyu government after Chuzan conquered Hokuzan. Having roughly the same size as Shuri Castle in terms of area, it features rows of beautiful castle walls. 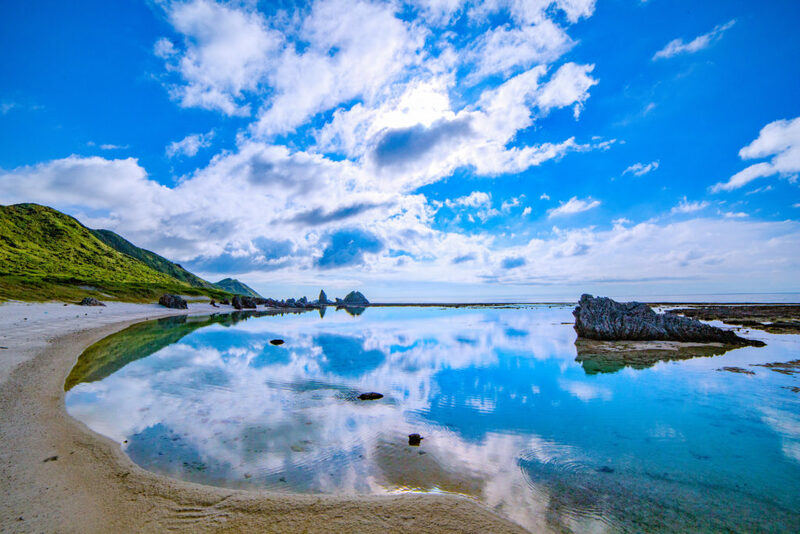 It is registered on the UN's World Heritage list together with eight other sites as "Gusuku Sites and Related Properties of the Kingdom of Ryukyu." Shuri Castle once served as the castle of the Ryukyu Kingdom's king but burned down during the Second World War. It was later restored as the Shurijo Castle district of the Okinawa Commemorative National Government Park and was placed on the UN's World Heritage List in 2000. 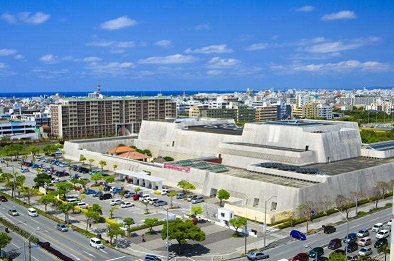 The building opened in 2007 when the former Okinawa Prefectural Museum was moved to Naha's Omoromachi district and joined with the Art Museum. 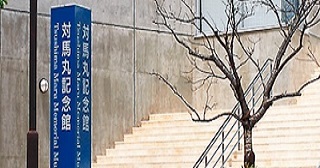 It is a facility in which visitors can appreciate some 90,000 materials, works by local and other artists, thrilling performances, and computer-based content with all five senses.